Tom's practice focuses on appeals in all courts and on real estate, commercial, insurance and telecommunications litigation. He has defended multiple nationwide and statewide class action cases, as well as a large variety of consumer and commercial matters. 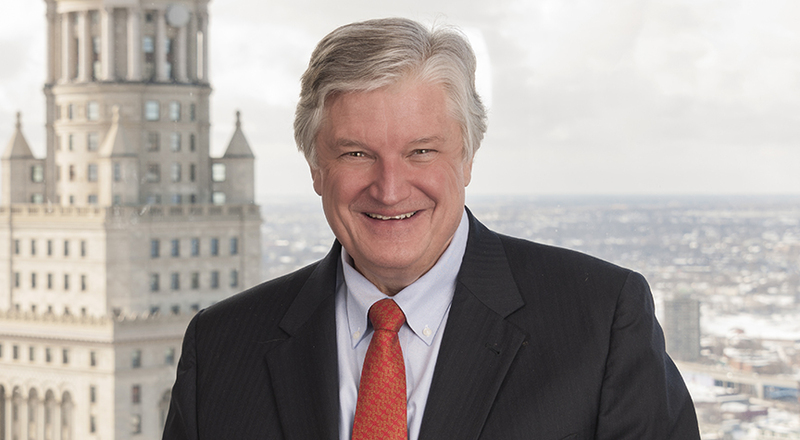 Tom has substantial experience representing both real estate developers and various Northeast Ohio public entities on a wide variety of public law issues, including litigation of land use and zoning disputes. His experience includes service as a former Law Director for several communities, and is currently the Solicitor for the Village of Middlefield. Tom also represents buyers and sellers of art and antiquities in domestic and international transactions and provides counsel concerning international patrimony issues. He serves on the faculty of the Trial Advocacy Institute presented annually by the National Institute of Trial Advocacy and the Cleveland Metropolitan Bar Association and is a frequent lecturer on appellate practice, litigation and land use topics. In addition to his practice responsibilities, Tom serves as an Assistant General Counsel and Loss Prevention Partner for Taft’s Ohio and Kentucky offices. In this role he counsels attorneys regarding ethics, claims and loss prevention functions. Tom received his undergraduate degree from Wittenberg University and his law degree from Case Western Reserve University School of Law. He is admitted to practice before the United States Supreme Court, the U.S. Sixth Circuit Court of Appeals, the U.S. District Court, Northern District of Ohio, the U.S. District Court, Southern District of Ohio and the Ohio Supreme Court. Tom is a member of national, state and local bar associations and currently serves on the Ohio State Bar Association's Appellate Practice Specialty Board. Tom is listed in Ohio Super Lawyers (2006, 2010-2018) for Business Litigation Law and in Best Lawyers in America (2013-2019) for Commercial Litigation.